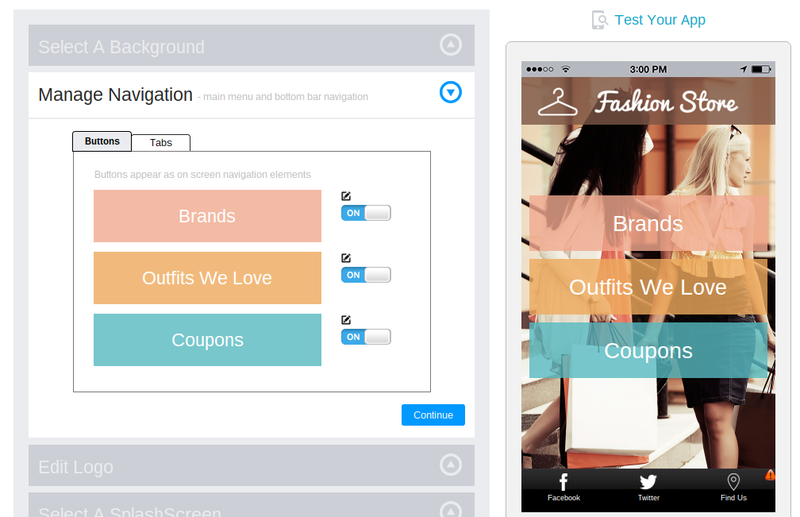 So you've developed a business app to go along with your business. Maybe it's to bring more customers through your doors, or maybe it's to sell items through a more mobile interface. Making an app is the first step to mobile success with your customers, but what happens when you publish it on the Apple and Android App stores? Sure, some people will download because they randomly stumbled upon your app, but that's not the type of traffic you're looking to find. You want targeted downloads, where the people will not completely forget about your app or delete it after a certain amount of time. The goal is to locate customers who are VIPs; those who crave special deals and communications with your company. Social media does a good job with connecting you with some of these folks, but a mobile app is more intimate, giving you an opportunity to send out messages directly to customer pockets. So, what are the best ways to promote your mobile app if you only have 20 minutes? We get it. 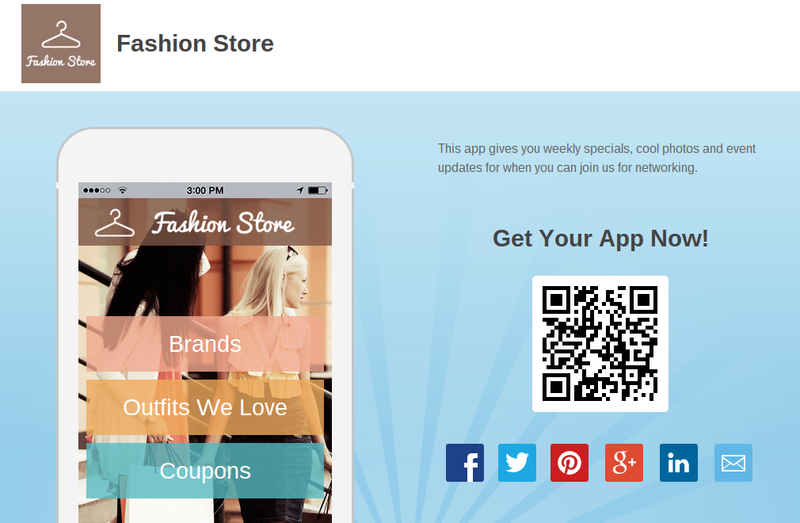 You're amped up to start telling your friends, family and customers about your new mobile app. You think it looks great and all, but it's marketing suicide to begin the promotional process without going through and ensuring everything is perfect. Before following all the steps below, download the app on your own phone to play around with every button, page and tab. Ensure the colors look right, the pictures aren't stretched and each page has content or functional tools that will help your customers reach you easier. A website is the first place to post information about your mobile app. With the power of search engine optimization, you most likely already have a little traffic heading your way. Therefore, we recommend developing a separate landing page to implement on your website. Sharing a quick banner towards the top of your site works well, but you're best bet is to have all focus go to the one landing page for your mobile app. 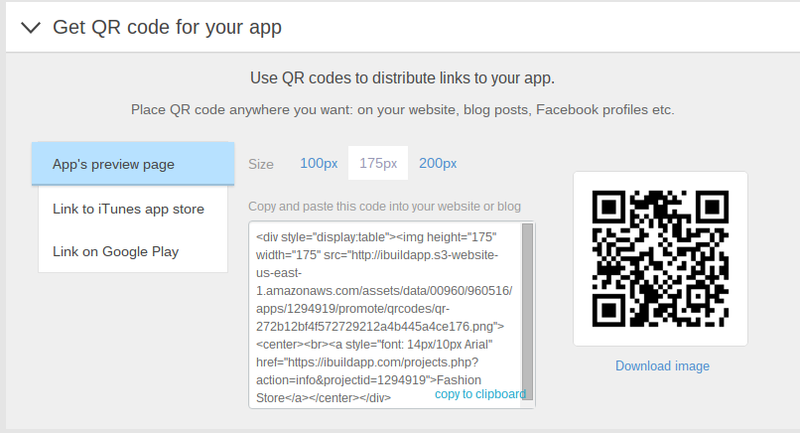 This way, you can take out some Google Ads and send all of this targeted traffic directly to a download link. In short, it minimizes the amount of clicks people need to make to get your app, since a link on your website is simply another barrier to entry. From Twitter to Facebook and Pinterest, sharing on social media is effective, even if you only have a handful of followers. We like the social media sharing method because it presents more opportunity for users to share the posts with other people. 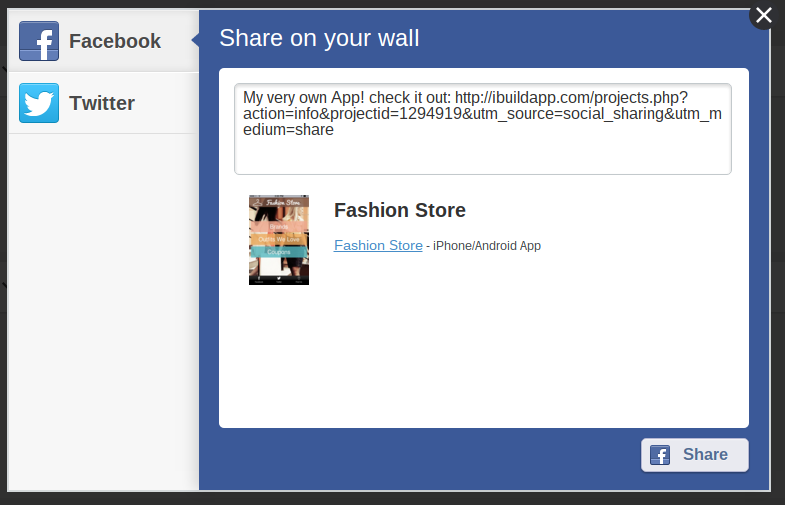 Luckily, iBuildApp provides some quick social sharing buttons on the backend, so you don't even have to open up Facebook or Twitter to share links to the download buttons. 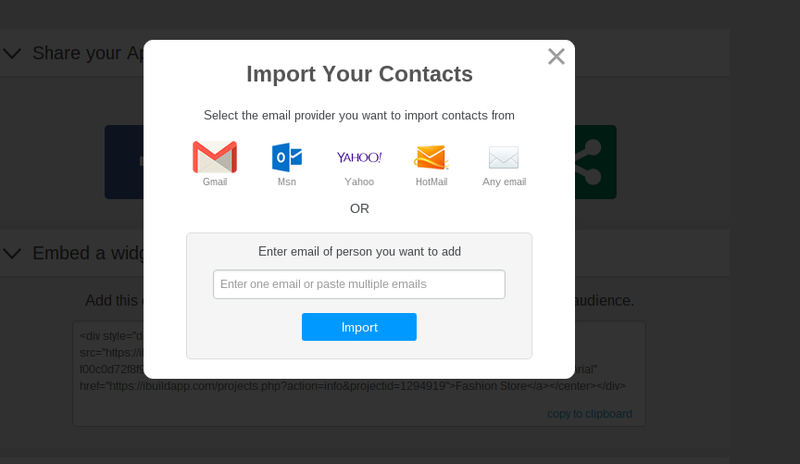 Another option is to upload a list of your email contacts and send out a direct link to each and every one of them. 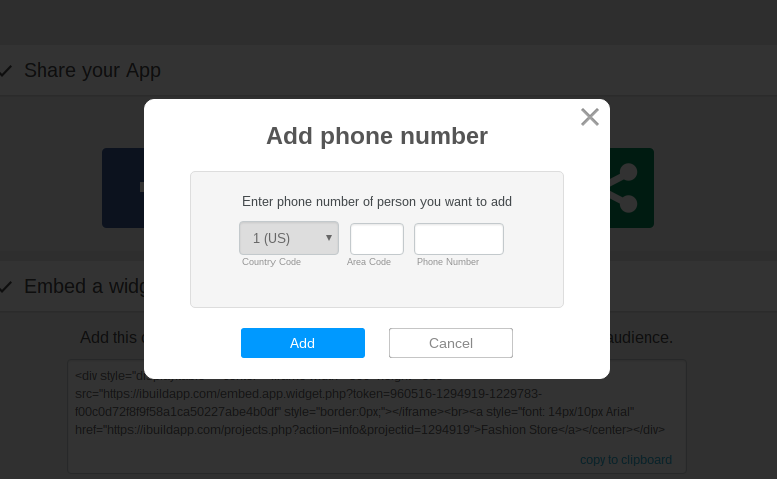 You can complete this with a plain text email in the iBuildApp backend, or you can take the more manual approach and embed a link into your existing newsletter. For example, if you use MailChimp and send out email on a weekly basis, why not announce the benefits of your new mobile app and send out a link? This works best if you're sending out to people you know, since you most likely have their phone numbers. The process is simple, and it's one of the more effective promotional techniques, considering it sends a download link straight to the phones. This ties into the website promotional tactic, but it entails a blog post that can be shared through social media and combined with descriptions and media items like video. Many companies reach out to bloggers in the industry to get guest post opportunities, so generate a solid email to show how your mobile app is newsworthy. Whether posting a sign at your cash register or handing out business cards, the QR code complements all of these physical marketing materials rather well. All people have to do is pull out their phone, scan the code and download the app. There you have it! Promoting your mobile app doesn't take long at all. If you have any other suggestions about how to promote your mobile app in 20 minutes, let us know in the comments section below. Hmm. This is a good work for me to be brave.